Hideki Yukawa was a renowned Japanese theoretical physicist and the first Japanese to be awarded the Nobel Prize. This biography of Hideki Yukawa provides detailed information about his childhood, life, research, achievements and timeline. Hideki Yukawa was a renowned Japanese theoretical physicist. He was also the first Japanese to be awarded the Nobel Prize in 1949 for his pioneering research on the theory of elementary particles in Physics. He dedicated his life to research in the field of Quantum Mechanics in Physics. 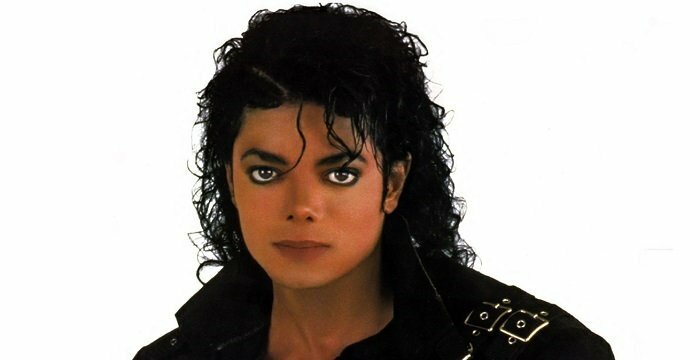 In his long career, he proved to be a genius and was recognized with several awards and honors. In 1929, he completed his degree program (graduation) from the Kyoto University, Japan, and later won several honors and affiliations from numerous universities abroad, such as the Columbia University and the New York University. Hideki Yukawa continued to write and edit essays on theoretical physics post his retirement in 1970, which indicated his passion for Physics. He devoted his career to the development of the meson theory that sprung from his original idea on nuclear forces. In recognition of his distinguished service to science, his country bestowed him with several awards such as Imperial Prize of the Japan Academy (1940) and Decoration of Cultural Merit award (1943). Hideki Yukawa was born Hideki Ogawa on 23 January1907 in Tokyo, Japan. His father’s name was Takuji Ogawa and he belonged to the Samurai clan. Yukawa was raised in Kyoto, Japan into a family of academicians. His father was a professor of Geology at the Kyoto University. This drew Yukawa’s attention to the field of Science. Though he was born in Tokyo, he received his formal education in Kyoto and he considered it his home. In the year 1923, Yukawa was enrolled in the Third High School in Kyoto. 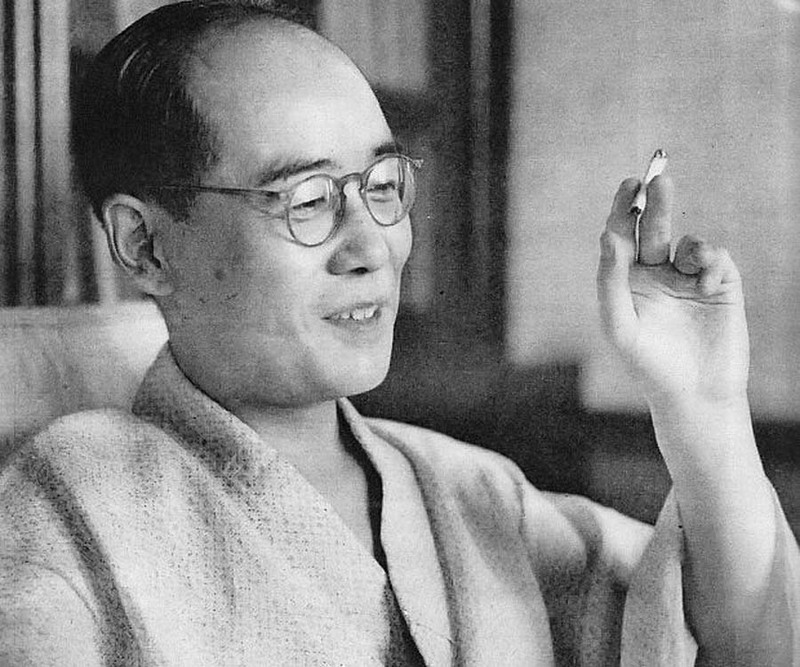 Another renowned physicist Sin-itiro Tomonaga also studied in the same school and was a batch mate of Yukawa. After his schooling, Yukawa went to study at the Kyoto Imperial University (now Kyoto University) and in the year 1926 received his graduate degree. 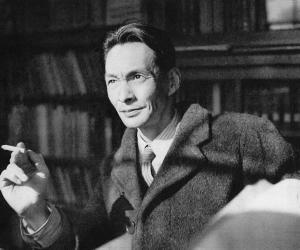 Upon graduating from the Kyoto University in 1929, Hideki stayed back to pursue teaching. He was appointed as a lecturer and taught for four years. This was the beginning of his brilliant career in academic research and teaching. In 1933, Hideki Yukawa at the age of 23 became an assistant professor at Osaka University in Japan, which further fuelled his academic research and interests. During the year 1948-49, Hideki was appointed as a visiting professor in the Institute for Advanced Study in Princeton, USA. In 1949 he was appointed as a professor of Physics at the Columbia University, USA. 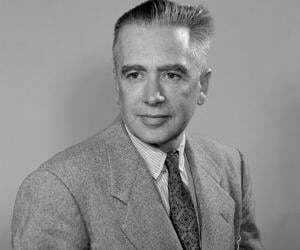 In the year 1935, he published a paper “On the Interaction of Elementary Particles. I." (Proc. Phys.-Math. Soc. Japan, 17, p. 48). 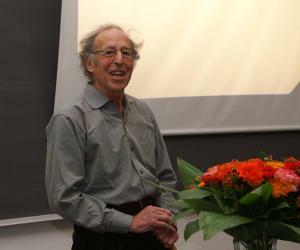 In this paper, he proposed a new field theory of nuclear forces. 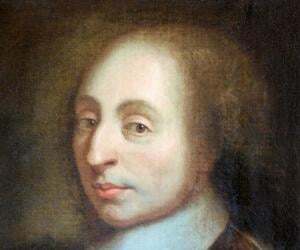 In this theory, he proposed the theory of a strong and weak nuclear force. He showed a new type of particle as their carrier particle. This was called the U-quantum which was later renamed meson because it had the mass between electron and proton. This theory established him as the founder of the Meson theory and it became a major influence on nuclear and high-energy physics. From the year 1947, Yukawa dedicated his life to the study of the theory of elementary particles which was based on his idea of “non-local field”. During his long years of research, Yukawa also worked on the theory of K-Capture. In this theory, a low energy electron is absorbed by the nucleus. In 1949, he was awarded the prestigious Nobel Prize for his pioneering research on the theory of elementary particles (meson) in Physics, and he became the first Japanese scientist to received the coveted prize. In the year 1940, he was awarded the Imperial Prize of the Japan Academy. He was honored with the Decoration of Cultural Merit in the year 1943 by the Japanese government. Hideki was honored with doctorates from various prestigious institutions throughout his career, which included the honoris causa, from the University of Paris. He was made the honorary member of many societies, such as the Royal Society, Royal Society of Edinburgh, the Indian Academy of Sciences, the International Academy of Philosophy and Sciences, and the Pontificia Academia Scientiarum. He was honored with the Lomonosov Gold Medal in 1964. In 1932, he married Sumi Yukawa and took her family name. They had two sons, Harumi and Takaaki. In 1953, Japan honored him by making him the director of the newly established Research Institute for Fundamental Physics at Kyoto University. 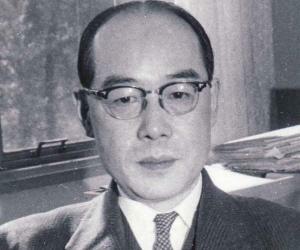 Hideki was appointed as the chairman of the Yukawa Institute for Theoretical Physics in the year 1953. Hideki Yukawa died on 8 September 1981 at his home in Sakyo-ku, Kyoto. The cause of death was pneumonia and heart failure. His tomb is erected in Higashiyama-ku, Kyoto.